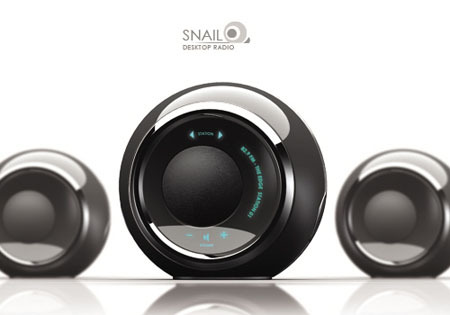 John Lee Designs Snail Personal Desktop Radio For Impressive SoundQuality ! If you look at this gadget, you can know that it looks like an eyeball. This is a windows-media-center-is-now-ready-to-provide-world-radio-stations/">desktop radio called Snail Personal Desktop, which has been designed to enhance the functionality and dynadock-u10-usb-video-dock-station-rushes-to-market-from-toshiba/">decorate the appearance of your desktop by its metallic black glossy design. This device comprises a roundtokyoflash-kisai-sensai-led-watch-different-era-in-watches/"> LED display that is a complete service with touchscreen for volume control and to change the stations that is faceless-led-watch-with-stylish-body/">capable to display the particular of the station that is on. 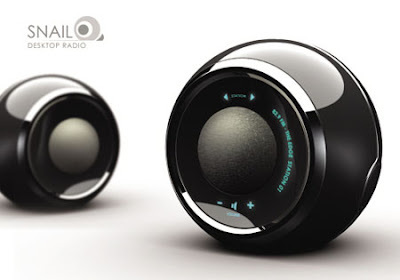 Moreover, it has the capability to bring an impressive jabra-sp700-bluetooth-speaker-phone-lets-you-free-while-driving/">quality sound.